Mary Williams added 2 new photos. This was a big hit at my dinner last week. Give it a try super easy and super duper good. Layer I layer of cookies, mix vanilla pudding with 2 cups cold milk, and let set for just a few min. until it starts to thichen, spread over cookies, repeat with a layer of cookies and same thing with the pumpkin pudding as the vanilla. Spread cool whip on top and garnish with broken cookies. Yes it is that time of year of the pumpkin. pumpkin pie, pumpkin bars, cupcakes all kind of goodies. It is all so good. Nuts and seeds, including those of pumpkins, are naturally rich in certain plant-based chemicals called phytosterols that have been shown in studies to reduce LDL or “bad” cholesterol. ike their orange comrades the sweet potato, the carrot and the butternut squash (to name a few), pumpkins boast the antioxidant beta-carotene, which may play a role in cancer prevention, according to the National Cancer Institute. 1. Sift all the dry ingredients together in large bowl. 2. In a separate bowl combine eggs, water, applesauce, butter and pumpkin and mix well. 3. Make a well in the center of the dry ingredients and add the liquids, then mix until moistened. 4. Pour into 2 greased and floured loaf pans. Bake at 350 degrees for 60 minutes. 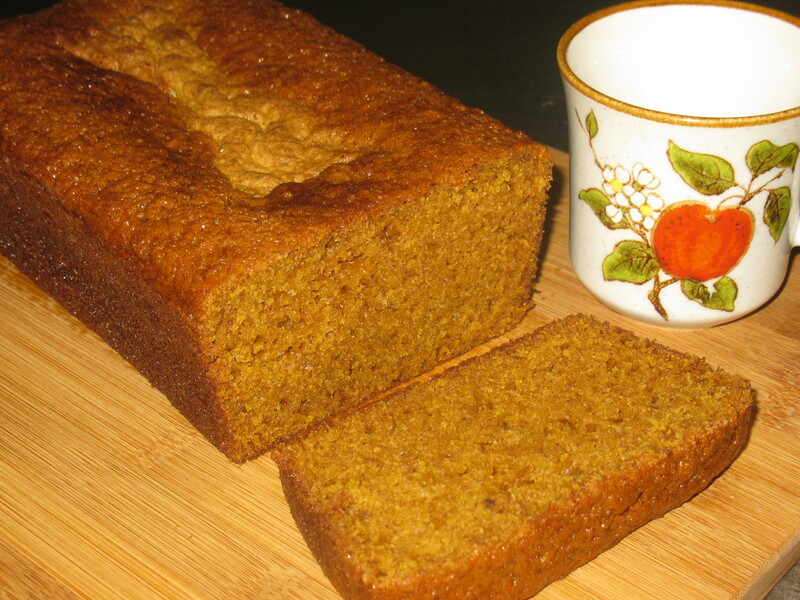 Mary Williams hope you enjoy the recipe and come again soon. Please share and like the recipe Thank you! 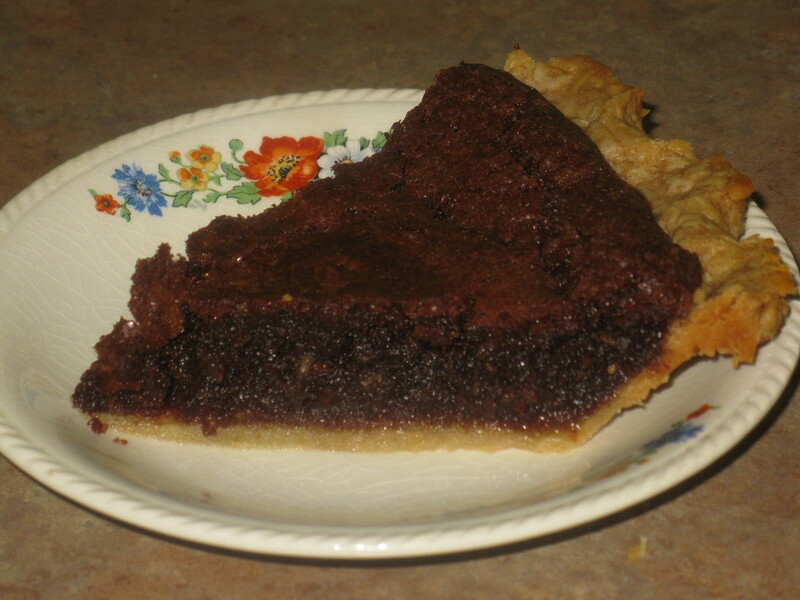 This was one of my favorite pies growing up it is chocolate and always best when served warm with a big scoop of ice cream. My i can just taste it. Yum Yum Good.